Launch actions, trigger scripts, etc. 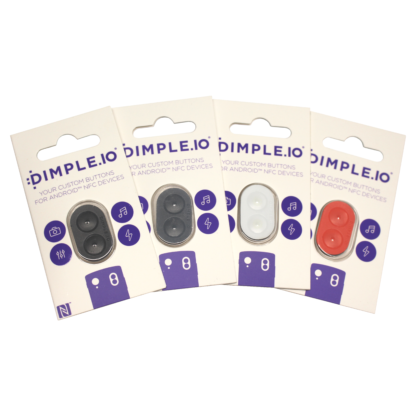 The Dimple is a great little device that pairs NFC tags with membrane buttons on an adhesive backing. Simply peel and stick a Dimple Mini to the back of your NFC phone (or on any NFC device really) and instantly get yourself two physical buttons that can be programmed to do just about anything with the Dimple app.